Thank you to everyone who has supported us throughout the years! 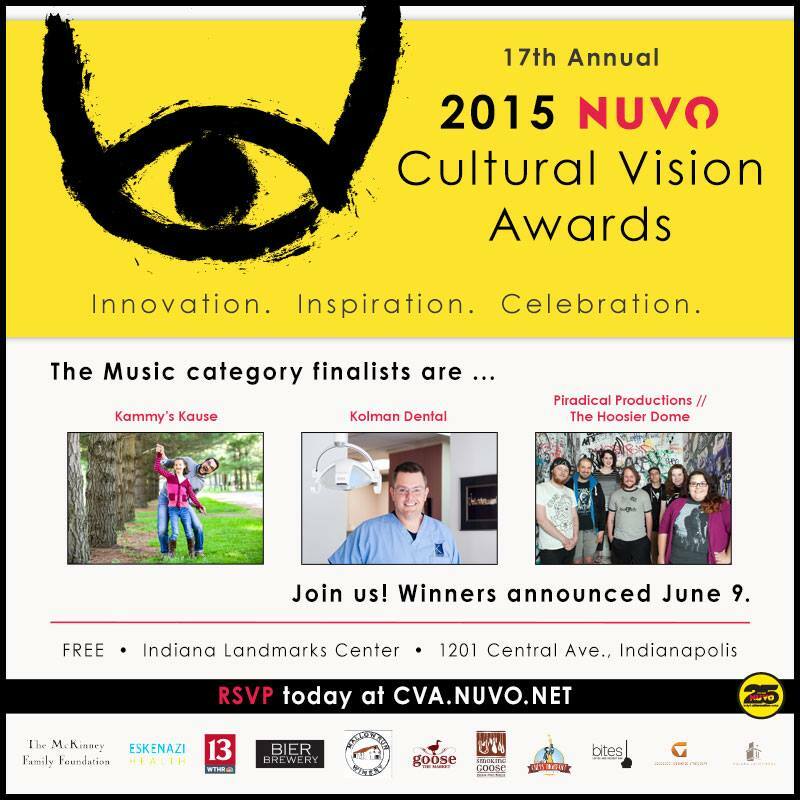 We are proud to announce that we are a finalist for the 17th Annual Nuvo Cultural Vision Awards in the category of music. The NUVO Cultural Vision Awards shine a light on those individuals and organizations in Indianapolis who are bringing cultural innovation to our community and making it a better place for us all to live. Beginning in 1998 the Cultural Vision Awards have had at least two goals in mind. The first was to recognize individuals and organizations in this city doing innovative work. The NUVO Cultural Vision Awards are about shining a light on the talented people and creative enterprises. Our second goal for the awards can be summed up in a single word: community.